Mrs. Norma J. Turner was born in the District of Columbia but resided in Alexandria, VA. She spent her formative years with her grandparents, Jesse and Mattie (Hackley) Speakes at 429 North Patrick Street in Alexandria, VA. She is the oldest child of Alexander and Esther (Speakes) Jennings. Mrs. Turner has many fond memories of Parker-Gray High School. The teachers were interested in one’s progress, and even gave one additional opportunities to excel if one desired to do so. Before Norma entered school, her grandmother asked the then first grade teacher, for some books, to teach her how to read. Miss Laura M. Dorsey gave Norma’s grandmother the books and Norma was taught how to read before she entered the first grade. Miss Dorsey was one of the most popular first grade teachers at Parker-Gray. At 13, she returned home to her parents. After completing three grades at the Lyles-Crouch Elementary School (on the other end of town), she returned to Parker-Gray. During her high school years, her Mother became ill, and the family had to stay home one to three days a week. One of her favorite high school teachers was Mrs. Flora Walden Chase, who assisted Norma after school by allowing her to complete typing and shorthand assignments. Mrs. Chase was also instrumental in securing an after school job with Mr. Otto Tucker’s office. She typed letters and wrote letters for those who visited the office and for those unable to read or write, but were employed in Alexandria on construction jobs. There were other favorite teachers in elementary school and in high school that she loved: Mrs. Earline Luckett Hughes (Homeroom), Mrs. Ellen Carter Goods, (3rd Grade) and Mrs. Julia Whiting Pritchett (4th Grade). Between Parker-Gray and Lyles-Crouch Schools, Norma made great friends who were in her class: Lorraine Parker, Gwendolyn Russell, Jean Taylor and Alice Harris. 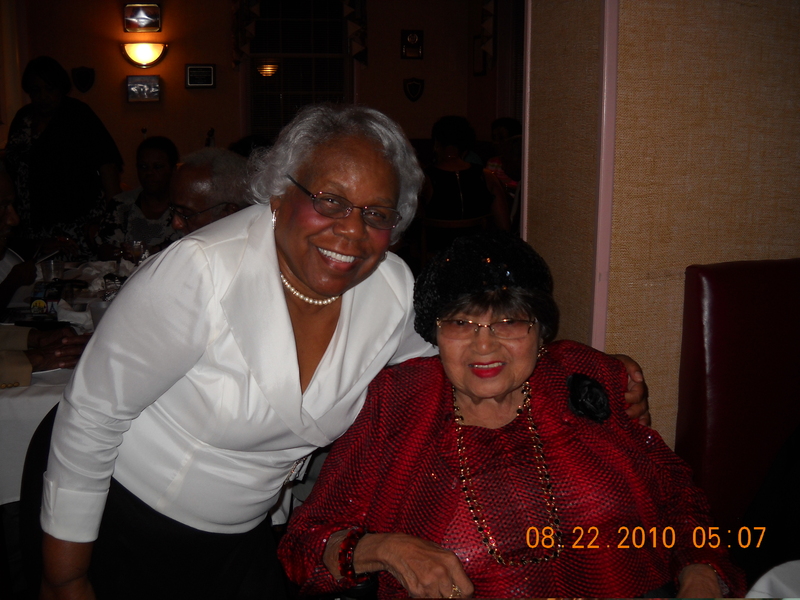 After she graduated in 1947, Mrs. Turner attended Virginia State College for one year. She was employed in the Federal Government (1949) for the next 39 years. Due honor is given to her parents, grandparents and her many dedicated teachers who reared her. She has fond memories of Parker-Gray High School. Her family and her many dedicated teachers made her accomplishments possible. This entry was posted in Education, Parker-Gray School and tagged Favorite Teacher, Mrs. Flora Walden Chase, Ms. Turner's Class of 1947. Bookmark the permalink. I am pleased that you are providing so much historically pertinent information and setting a positive platform for all to share the rich and proud heritage we Alexandrians are worthy to be a part of. What a window of timeless opportunity. Thank you for your comments. I look forward in posting the Class of 1965 in the future. I would like to capture your memories of Parker-Gray High School when I get to your class. Your class is special, since it was the last segregated Class at Parker-Gray High School. Thanks again! !